The ecological footprint concept and its calculation models are useful for the measurement of the sustainable level of social and economic development. 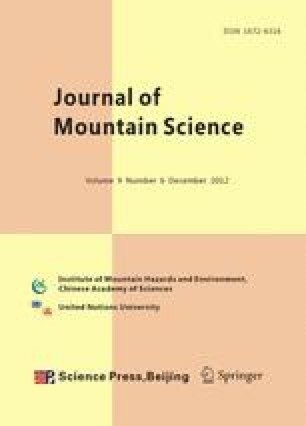 The ecological security situation of the Three Gorges Reservoir Area (TGRA) was evaluated using this concept in this study. The construction of the Three Gorges Reservoir has led to the change in the ecology and immigration status of TGRA. The ecological footprint method is an important means to study the regional ecological security. Our results suggested that, by excluding the areas for biodiversity conservation (12% of the total land), the ecological footprint per capita was 0.57895 ha, which exceeded the ecological carrying capacity in TGRA. The total ecological deficit was found to be 11,522,193.34 ha, accounting for 95.02% of the ecological carrying capacity. These findings suggested that the ecological security of TGRA was not good. In order to compensate for the ecological deficit, it was essential to introduce natural resources from other regions.